Appliance prices have escalated substantially over the last year or so. For one thing, government imposed tariffs have led to increases in steel and imported parts prices. In addition, inflation has raised its ugly head, and prices are up simply due to overall inflationary pressure. Even though this is bad news for us as consumers, there are still ways we can save money on appliance purchases. The cost for an appliance brand to acquire a customer is significant. So, selling additional appliances to a customer is like the icing on the cake. 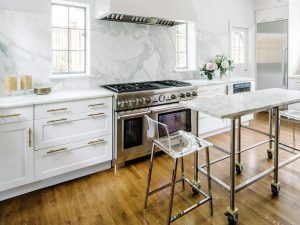 When you decide you are going to purchase a specific brand of refrigerator, the manufacturer of that refrigerator might very well offer you some savings or incentive to buy the rest of your appliances from them. After all, they have already incurred the “expense” of getting you as a customer. They don’t incur that expense again with your additional appliance purchases. For this reason, appliance manufacturers frequently offer incentives for buyers to purchase more than one appliance at a time. Receive up to $2000 in purchase incentives. Purchase a Professional Style Range or Wall Oven and Cooktop and receive $1000 towards other select Jenn-Air appliances, eg. microwave oven, range hood, refrigerator, wine cellar, dishwasher, etc. Choose one or two qualifying appliances from Tier 1 & receive a credit toward an eligible appliance. (Optional) Choose one or two qualifying appliances from Tier 2 & receive a credit toward an eligible appliance. (Optional) Choose a qualifying appliance from Tier 3 & a credit toward an eligible appliance. Purchase 4 or more eligible GE Profile™ or select GE appliances and, depending on the number of appliances purchased and whether any are BONUS models, receive a GE Appliances Prepaid Visa® card valued up to $1200*. Offer valid from January 1, 2019 to June 30, 2019, at a participating authorized GE Appliance reseller. Purchase select appliances and get $899, $1399, or $1999. Savings on kitchen appliance packages that can add up to $9397. There’s a detailed rebate list with conditions on their website. Rebates are not the only way to save money on appliances. We’ll be pointing out additional opportunities in upcoming blogs. Be sure to follow this site. In the meantime, call or visit your nearby Arizona Wholesale location.